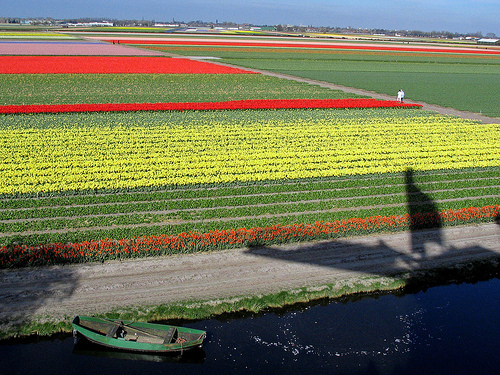 Grab a coffee, relax and enjoy a Headwater blog on Hooray for Holland! Holland is practically next door – a short flight or a spin on the train and by lunchtime you can be right in the heart of the cycling action! Friendly and cosmopolitan, with an astonishing 29,000km of cycling routes – and that’s with the emphasis on cycling routes only for bikes, not roads that you happen to be able to cycle along – Holland is a genuine paradise on two wheels. Not only that, but the concentration of cultural attractions in the shape of museums and art galleries is the highest in the world, with a particularly rich seafaring tradition celebrated in the north of Holland where our holidays will take you. Take a look at our 6 night trip, or spend a bit longer on our 8 night tour. Natural reserves, and protected beaches and sand dunes are really coming to life right about now with the advent of some spring sunshine (at last), and of course the flower fields will be in full bloom in the next few weeks. If you need any other reason to get on your bike, our varied hotels are full of old world Dutch charm, not to mention the charming Dutch who welcome you to their fascinating country!